Stock product - detailed vector illustration - Isometric Infographic Collection - Brazil App - created by Aurielaki. Image formats EPS AI JPG. 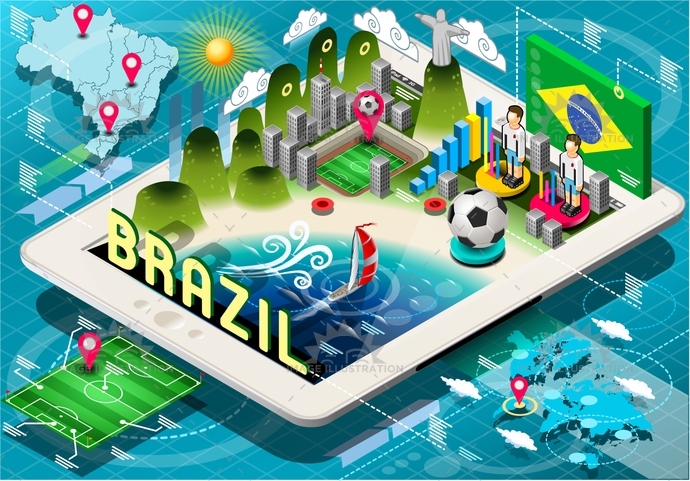 SKU: Brazil-App-Infographic-Isometric-AurielAki. Category: Infographic on Device 3D. Tags: america, background, ball, blue, brasil, brazil, championship, Christ, de, flag, football, green, icons, infographic, isolated, isometric, janeiro, map, mobile, national, player, rio, soccer, south, stadium, tablet, tourism, world, yellow.